Learned about a new type of binary system from the binary-stars Yahoo!Group. Read the article at Hubble Space Telescope site. A group of amateur astronomers in Europe stumbled across a very unusual star system in the summer of 2015. 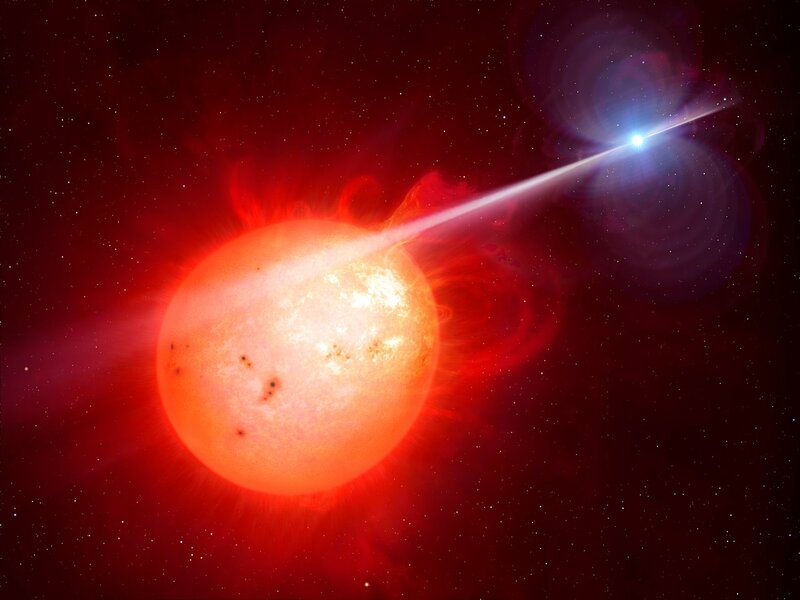 Recent research into AR Scorpii has revealed its true nature: a highly magnetic and spinning white dwarf is sweeping its beam across the face of the companion red dwarf star. This causes the entire system to rapidly and dramatically brighten and fade and also emit radio pulses. Originally it was thought to be a single star or a neutron star.